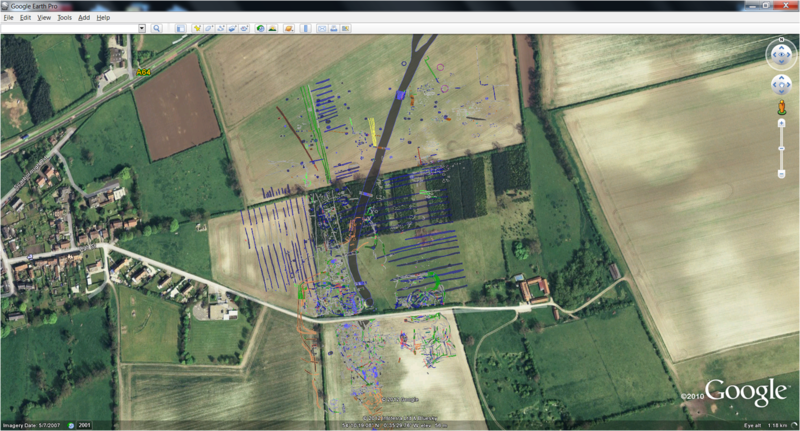 The LRC has long been engaged in experiments in archaeological computing applications and the use of GIS systems for managing excavation data. The excavation of the Anglian or Early Anglo-Saxon Settlement at West Heslerton produced a digital archive of over 500Mb. We have been experimenting with Google Earth for the production of Digital Atlases. 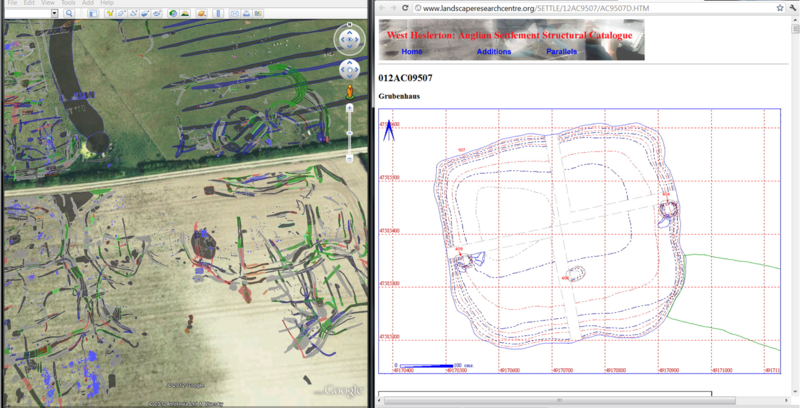 The excavation plans have all been exported to a GE suitable kmz file. You can load this into Google Earth by entering the link below into the Google Earth Open File dialog. Click the link to download the file (55MB) to your local machine. Please be aware that this is a 50mb file and it takes several minutes to load. Once loaded you can click on any feature and then follow the link to see the detailed archive web pages that link to each feature. In the image below the linked archive has been opened in a separate window. West Heslerton Anglo-Saxon Settlement Archive with additional detail loaded from a Google Earth link. This entry was posted in Anglo-Saxon, Archaeological Excavation, Archaeology and tagged Anglo-Saxon, Archaeology, Digital Archive, Digital Atlas, digital atlases, excavation data, excavation plans, google earth, Landscape Archaeology, saxon settlement, The Landscape Research Centre, West Heslerton. Bookmark the permalink.